Important data is very essential for both individuals and business. Losing important data can slow down your way of going and you have to face a serious problem. Have you lost your important data from your smartphone or computer and want to get them back again? If you are searching for the answer to the question above, you have landed in the right place to discover your query. Yes, lost data can be gotten. If you are tech-geeky and have enough knowledge of technology, you can recover your lost data yourself with the help of some data recovery software. What if you have not much knowledge about computer and other related issues? In this situation, there are so many data recovery companies out there online. You can just take services from Keystone Data Recovery which is also such company who can help you recover your important data fast. Before knowing the process of recovering your lost valuable data, I would like to tell you some causes of data loss. I think, if you can take proper measures against losing your data, it will be a great help for you. There are numerous ways you can lose your data. In this short article, I will show you the most important of them one by one and then also tell you how to recover them. Sometimes, it happens that your device stops working and shuts down automatically. These can happen in two ways. Maybe, there is not enough storage in your device but you try to store more and more. Or, your software runs improperly due to their outdated versions. If the case is so, wait not to install a newer version of the software to minimize your data loss. Believe me! We prefer to press or touch or click on the ‘Yes’ button frequently without reading the message that your device shows before performing the action. Mistakenly, if you delete your valuable data and press the ‘Yes’ button, you can lose your data. Also Checkout How to Recover Photos on Your Computer or Smartphone? Besides, if you have restless and curious kids at home, you have already experienced what I am going to tell you. They just operate the devices indiscriminately and result in losing some important data from your devices. Another way, you can lose your data by dropping your devices on the floor. This is called physical damaged as well. If your devices fall directly to the hard floor or road, they may not work properly and thus the chances of losing data are rising. If your devices are connected to the internet or wifi, you must have to use an anti-virus so that viruses and malware may not attack your devices. Also, keep your anti-virus updated for a better result. Otherwise, viruses and malware are the most likely causes to damage your valuable data. Moreover, your credit card’s PIN/Password can also be stolen, your devices may slow down and do not work properly. At present, it has become one of the most common online issues to hack information by hackers. In order to keep your devices and data safe from them, the regular update is a must for your anti-virus, software, and windows. In addition, you should change your passwords frequently and also make strong passwords combining some special characters. It is also recommended to log out before turning off your devices. Though natural disasters like flood, tornadoes, storm etc. do not occur every now and then, you should have taken necessary steps to secure your valuable data. You should store your valuable data to separate storage devices and keep them in safe areas. In some cases, you can use cloud storage to store your data but sensitive data should not be stored on cloud storage. It is seen that if you lose your data due to natural disasters, it is completely impossible to restore or recover them again. So, take regular back up of your valuable business or personal data in a safe and secure area. Those are the possible causes of data loss mentioned above. Now, let’s talk about how to recover lost data. As losing data can cost your valuable time and money lavishly, it will be wise to keep them safe and recover them if possible. There are so many software related to data recovery. They are both paid and free. With free software, you cannot recover lost deleted data from your computer. So, try paid software to recover your lost data. Data recovery software like Disk Drill, Data Rescue 5, Stellar Data Recovery etc can help you recover your lost data easily. There are also some data recovery agencies out there. They have expert software engineers to recover your lost data. If you are not good enough at computer science, you can receive the help of an agency in order to regain your lost data. They offer several data recovery services including virus attacks, backup failure, drive crashes and many more you can choose from. These are the ways you can lose your valuable data and also some options to recover your lost data. 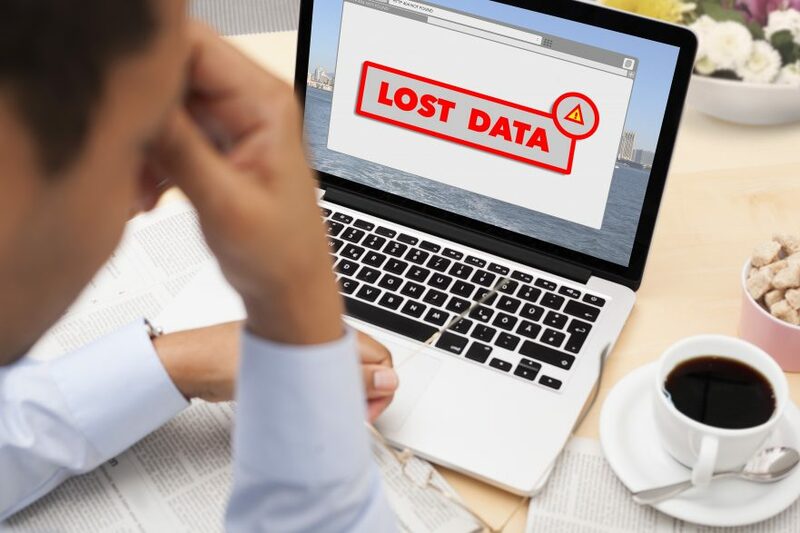 Though lost data cannot be recovered 100% some data recovery software and service agencies can recover most of your lost data. You should try to run disk defragment. Disk defragmentation is a way to arrange your device’s data contiguously to protect them from being lost. So, it is recommended to run disk defragment regularly to keep your computer healthy. How to Recover Photos on Your Computer or Smartphone?